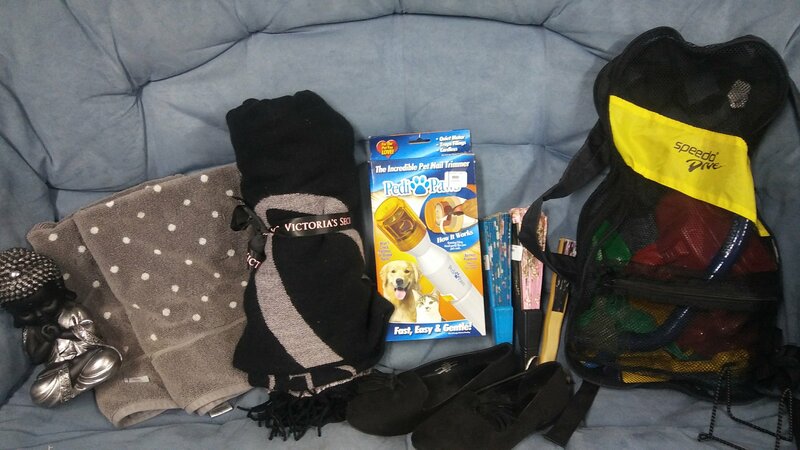 My local thrift shop gets Disney lost and found items every few months. I never know exactly when they will be getting the stuff in (they don’t know either) so when I walked in last Thursday and the store was full of Disney stuff I had fun doing some early Christmas shopping for my family. At least one item has been left out of the pictures so that someone won’t glimpse their Christmas gift early! 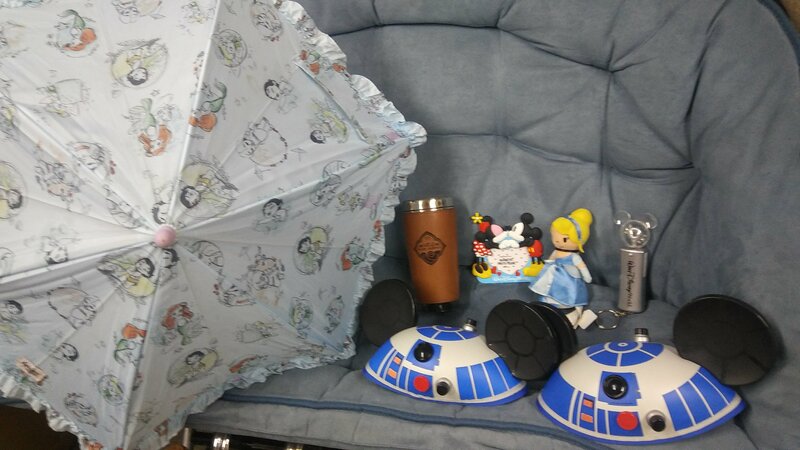 Of the items above, the most expensive were the R2D2 Mickey Mouse ears for $4 each. 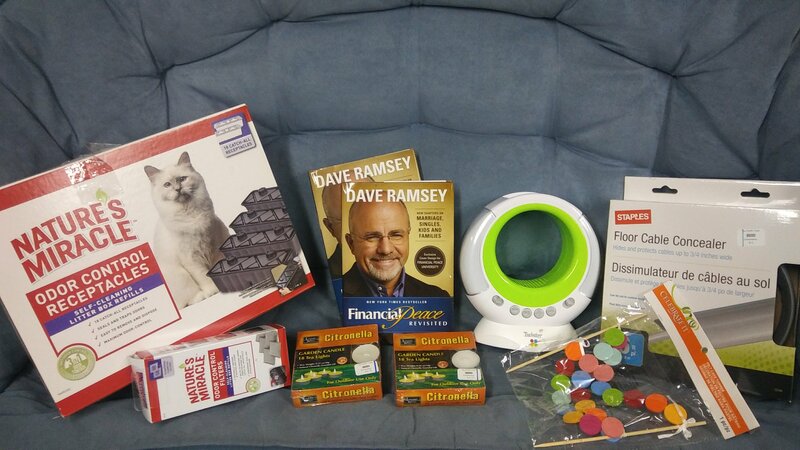 My father has an electric litter box and accessories are expensive but I found some for him for a few dollars at the thrift shop. I also purchased some citronella candles for our hurricane supplies and some other random items. I was able to buy some little things for the nephews, a Star Trek Enterprise ship for my office at the college, a couple of vintage Nestle coffee mugs and some really pretty reusable napkins. 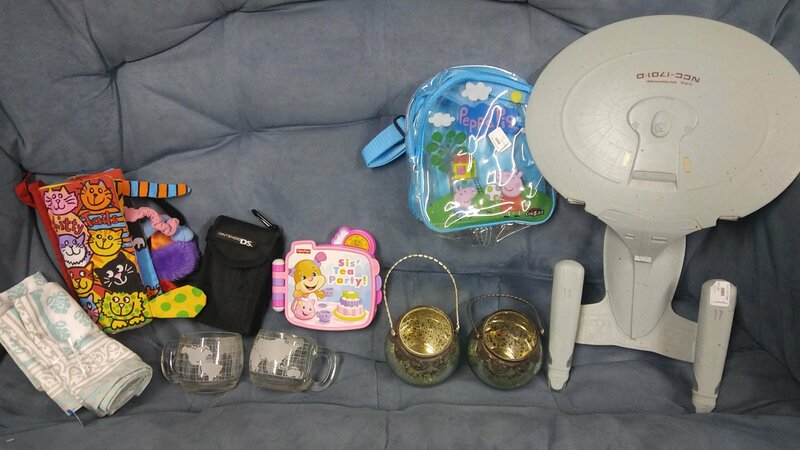 I found the above baby Buddha, hand towels, Pedi Paws, fans, loafer, and bag of sand toys for $2 or less each. The fans are for Hurricane season, the V.S. blanket is either for a Christmas gift or to sell, and the bag of pool toys and snorkel are for the nephews and our next beach trip. 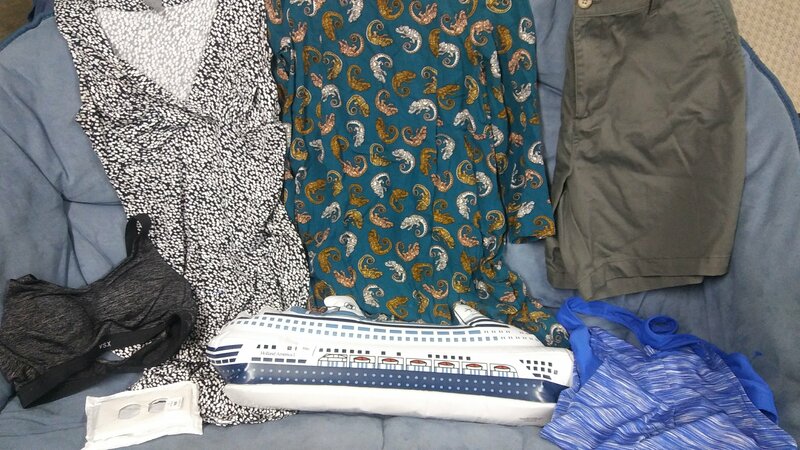 I also got lucky with some clothes and a blow up cruise ship and a light cover. I especially like the chameleon dress for teaching. The Victoria Secret bra is to sell on Poshmark because they sell well.